Holding out for a short scale option, but this is the bass I've been waiting for! I ordered a Vanquish bass before the price increase due to there not being a singlecut headless bass option available. (Vader was too metal for me) A week later the Zues announcement hits LOL. Guess I need to get another build in this year. They are broadcasting a demo of the base right now on FB. If nobody beats me to it, I'll try to embed the archived video later. When it was first shown, they said "no plans" for a short scale version of the Zeus. Seems to be just for the vader, at least for now. Perhaps there wasn't enough buy-in on the Vader so they didn't deem it worthwhile? Seems like more people are asking for a short-scale version of this, though. That's a misgiving for me, too. Not that it's a WRONG design, but too prone to having issues. If instead of the screw having to hold the string, if the screw instead pressed against a plate/piece that pinched the string instead to spread the force over a larger area, and especially if the screws would be captive, I'd be much more interested. ^^^ Nice - a lefty!! 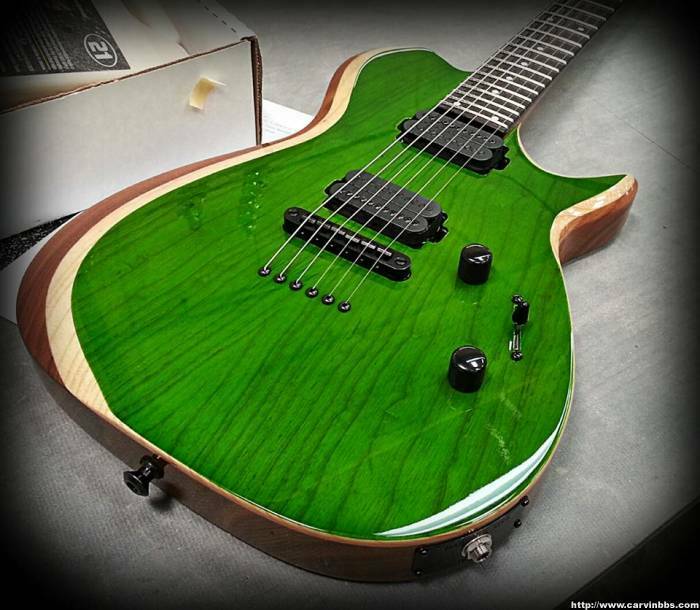 I don't see anywhere in the bass builder where you can request a bevel and it be a different finish/color. First, keep in mind that you can only change finishes where there's a line they can use to tape along. 2nd, know that you may or may not be able to configure it in all of these ways online, but they should all be available (except maaaaaybe #1, because of that swoopy bridge tuner area, it makes it hard to tape). Note that all of the examples below, I'm just using "clear" as the 2nd finish. So, with that in mind, there's a couple ways you should be able to do it. 2) Add an optional top, and RNC. - This will give you a line partially down the bevel they can tape to. And, personally, I think this makes more sense. I've seen a couple builds like option #1 above, and they looked good, it looked a little strange to me to have the good grain pattern continue, but the color didn't. They tape the line where the top and the body wood come together. - BBEB means "Body Binding Effect Bevel". It looks like binding, but it's just the edge of the solid wood top. 4) Add a top, and add BBEB *and* RNC. This ends up being painted exactly like option 1, but because the body is now two layers, you get that "binding" look. I can't find RNC in any of the ZB6 builder options. I'll have to call on Monday. marley's ghost wrote: I can't find RNC in any of the ZB6 builder options. I'll have to call on Monday. Their builder is historically wonky on new models and incomplete on new options for old models. It's always approximate. RNC is available. Of course they announce this just as I was thinking of a Vader! I’m super interested though I am a bit worried about how it’ll balance on a strap with the strap button being so low. For me, because it's headless, it would be less about the balance and more about the reach. 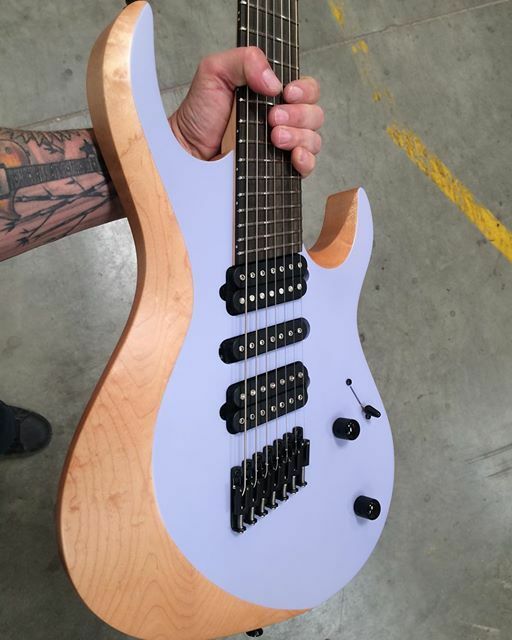 I would prefer a regular headed neck, and a bit more elongation on the non-cut upper horn, maybe to the 15th fret. 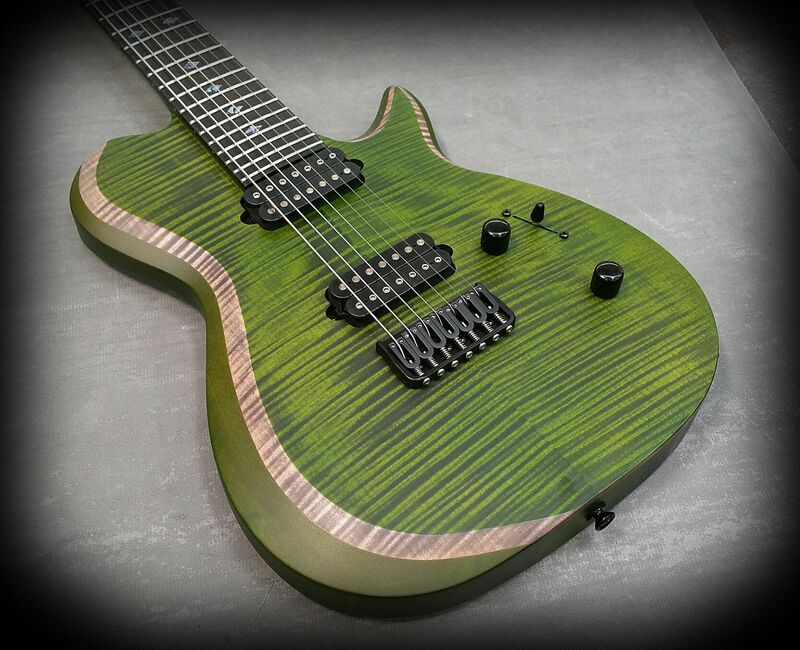 Any word on a multiscale option? The guitar versions of the Vader and Zeus both have it and there is the Vanqish bass, so the idea is within the realm of possibilities. No, so far no word on a headless multiscale bass.